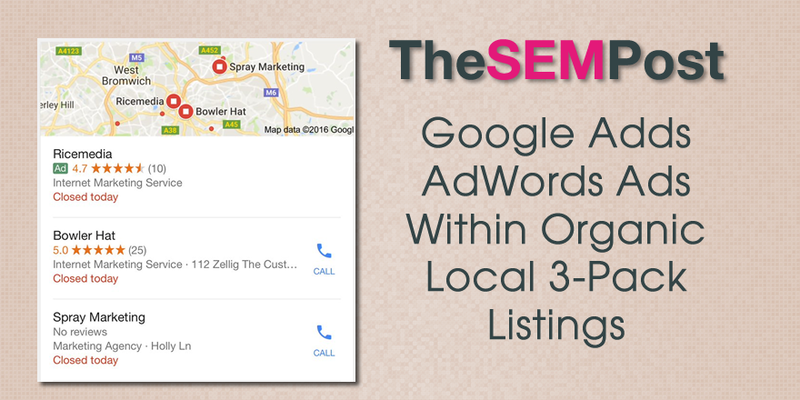 Ever since Google began displaying ads in a local pack style, many were anticipating that Google would also begin to display ads within the regular local 3-pack as well. And it seems they are now doing just that. What is interesting is that the advertiser also appeared in the local 3-pack with an organic listing as well. And it appears there are regular AdWords ads appearing above the 3-pack too. The ad also doesn’t have the address listed, although it’s organic version below is listed. There is a map marker in the screenshot, but it seems to be the same color as the organic listings, so it is possible that the ad listing does not get its own map marker on the small map that appears above the 3-pack. It also has the regular green “Ad” tag. This seems to be a limited test as I was unable to replicate it. There is always the possibility it is part of a slow roll out. 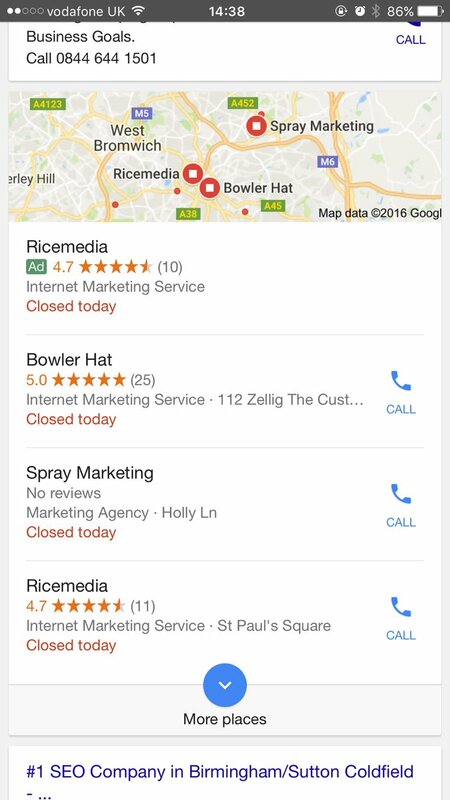 This does raise plenty of questions for local SEOs and businesses, since that top organic listing won’t be as strong as the paid ad that appears above it. And many have speculated about the possibility of these ads appearing within the local 3-pack ever since Google launched the local pack format. Do you think we will need to have location extensions to show for these ads? Will this be considered a display ad? Will they add an entirely new category of ads in order for this to be displayed?